According to IMDb and my own research, this should be a complete list of the films that are blessed with Ulrike's charming presence. 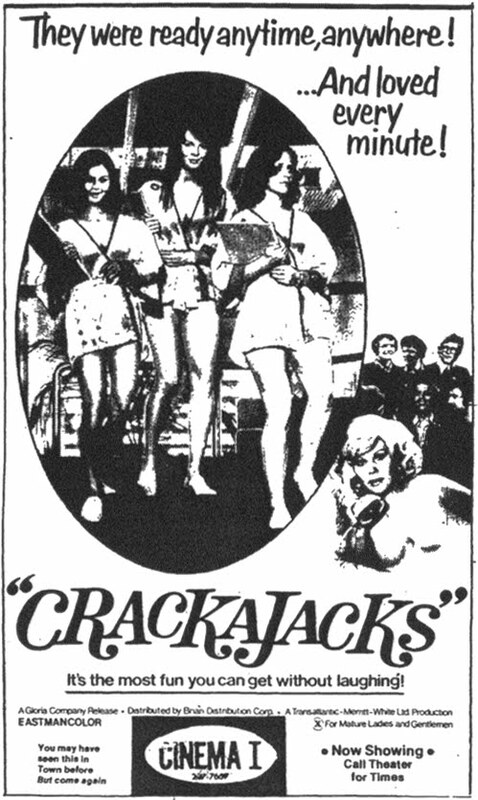 As with most (s)exploitation films many of them were released under various titles for domestic and foreign distribution, sometimes re-edited and re-packaged beyond the verge of recognition. Just take a look at the U.S. posters for the Schulmädchen-Report series and you'll see what I mean. On that note, IMDb lists a movie called "Gejodelt wird im Unterhöschen", from 1974, which I myself didn't include in Ulrike's filmography. To start with, I'm unable to find any piece of information regarding this Ernst Hofbauer flick anywhere. 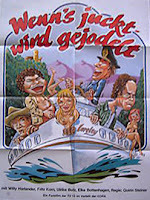 When comparing the cast and crew who apparently worked on this show, I found its (almost) identical twin in the infamous "Wenn die prallen Möpse hüpfen", also from 1974. Save the composer (which could be a pseudonym), both film credits are exactly the same. Furthermore, the only detail that can be found on the IMDb page is an alternate title: "Bedtime Stories for Grownups". 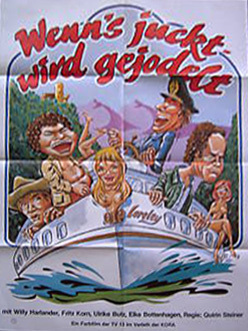 Now, take a close look at the German and U.S. posters from "Wenn die prallen Möpse hüpfen". Indeed, the Yanks grabbed some big fat markers, drew clothes over the naked (cartoon!) women and re-titled it "Bedtime Stories...". 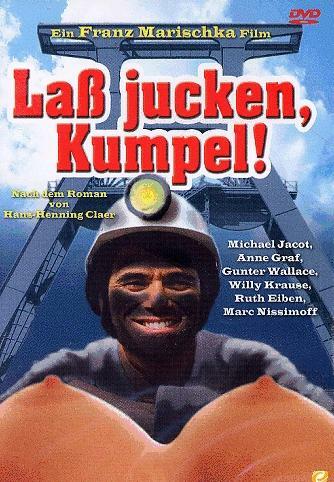 Even more annoying are theatrical posters that feature Ulrike's name in all of its glory, but upon viewing the actual film it turns out she's nowhere to be found (and I have a trained eye!). Very frustrating... Prime example/offender here is "Wenn's juckt - wird gejodelt". Makes me wonder what actually happened... Seeing it was released in October 1974 and by now Uli had become a drug addict, it could well be that she was hired on this show and either didn't show up or ended up on the cutting room floor. It's not that uncommon for this type of film to have a poster drawn in advance, as it's a cheap way to attract backers for the project before even a single frame is shot. Hello from Greece! You are so right regarding Ulrike Butz! She is definately the Queen of the whole era of films. Have you noticed how beautiful she looks even with today's standards? Really a classic beauty. Congratulations for your efforts on this blog and your work as a collector, which is helpful for all. It's always nice to learn there are other folks out there who've noticed Ulrike. It's a shame so little is know about her, yet her beauty will remain forever in the pics & flicks!